Perri's Padded Leather Guitar Strap Black and Burgundy 2 in. Black and Red 2 in. Black and Burgundy 2 in. Perri's Leather's 2" Leather Padded Guitar Strap Is The Perfect Solution For Players That Want The Comfort Of A Padded Strap, Without the Bulkiness. 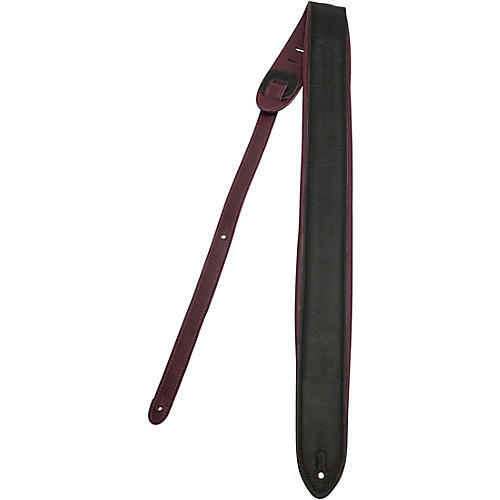 This Guitar Strap Is Made With Garment Soft Leather and Is Adjustable From 44.5" to 53"